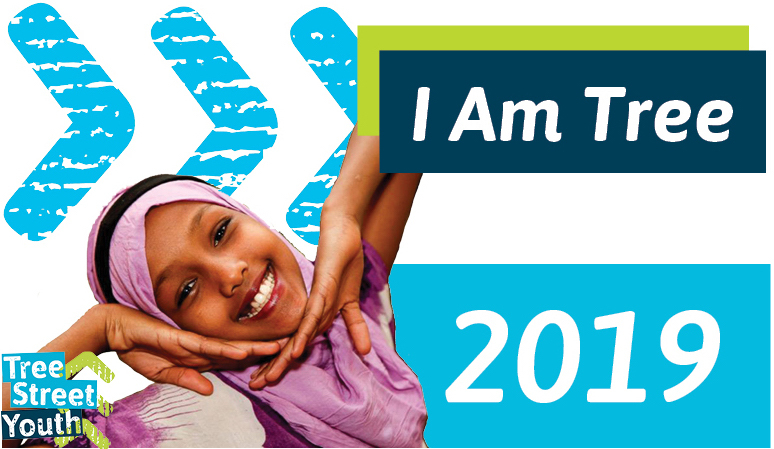 Information about I Am Tree 2019 - "I Am Lewiston"
Tree Street Youth's fifth annual I Am Tree event will take place on Wednesday, April 24th, 2019 at Bates College Olin Arts Center at 75 Russell St. Lewiston, Maine. The evening will begin at 4:45pm with a reception that features food, drink, and an opportunity to bid on original artwork by youth and local artists. Awards will begin at 6:15PM, which will be followed by the performance. Desserts and a Meet & Greet with the performance participants will begin at 7:30PM. In accordance with IRS regulations, the tax-deductible or contributed portion of a ticket is the amount over and above the fair market value of any benefits received. The contributed portion of each I Am Tree ticket is $21. If purchasing more than one ticket, please include the name(s) of any additional guest(s). Thank you!